“Lume is a short term for the luminous phosphorescent glowing solution applied on watch dials. There are some people who “relume” watches, or replace faded lume. Formerly, lume consisted mostly of radium; however, radium is radioactive and has been mostly replaced on new watches by less bright, but less toxic compounds. Common pigments used in lume include the phosphorescent pigments zinc sulfide and strontium aluminate. Use of zinc sulfide for safety related products dates back to the 1930s. However, the development of strontium oxide aluminate, with a luminance approximately 10 times greater than zinc sulfide, has relegated most zinc sulfide based products to the novelty category. Strontium oxide aluminate based pigments are now used in exit signs, pathway marking, and other safety related signage. Vintage collectors grew up to appreciate a beautiful aged lume on their watches and a rich yellow patina, orange or brown is always desired if original and natural. Even some modern watches (Jeager leCoultre and Omega, to name a few) are made with “fake” patina, yellow luminous material. Some of the dials are called “tropical” because they also changed color in time due to exposure to sunlight in tropical areas (usually). Some say that the Sun is not the main factor to this process but the passing of time and the original formula of the pigments. Either way, I love a beautiful patina too, just like most of us. Most of the dials that age are made with radioactive material, like tritium or radium. 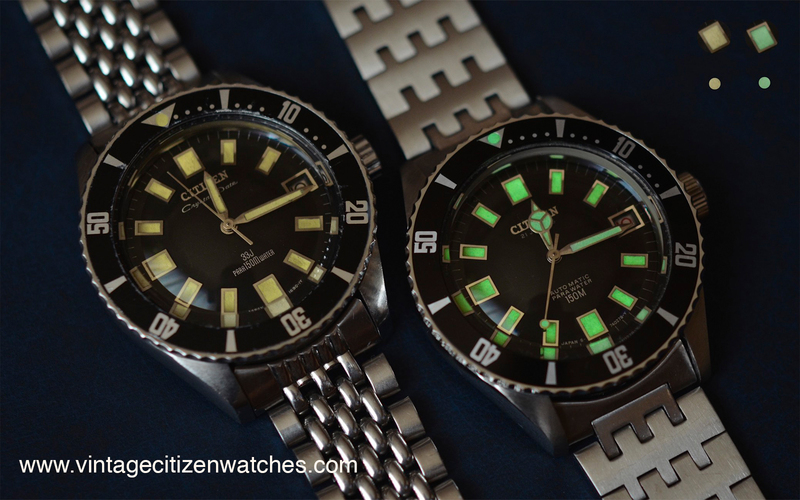 Citizen never used radioactive material on their vintage watches (1932-1978) but used some Promethium-147 after this date on some models but only for a few years. I am still looking for a watch made prior to 1978 that has it. It should be marked on the dial code P-JAPAN-P. They used this in small amount so the patina is only slightly influenced by this. I found this in a Citizen diver instruction manual: “Luminous Paint: Being a diver’s watch, luminous paint is used for this diver’s watch (200m) to facilitate time readability in a dark place. This luminous paint contains a trace quantity of radioactive substance pursuant to ISO safety standard. There is no problem for normal use; however, in the event that the watch glass has been damaged or broken, immediately carry it to the store where you purchased or to an authorized Citizen Dealer.” So, there are only traces of this material. No need to worry for radiation. UPDATE: Well… it seems that I had one 1978 diver with P-JAPAN-P 🙂 Read about it HERE. Another watch I love, but it is made after 1978, is the Walter Wolf titanium fly back chronograph that you can read about HERE. 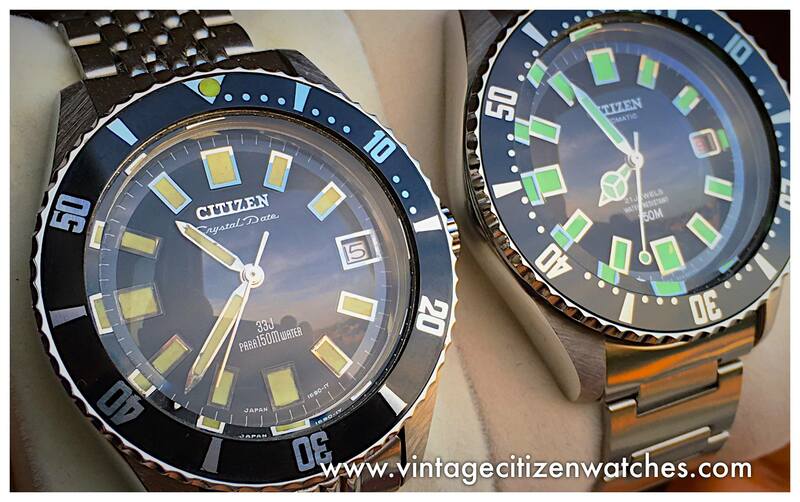 This entry was posted in Citizen diver, Citizen history and data, vintage Citizen and tagged citizen aged dial, citizen lume, citizen luminous material, citizen luminous paint, citizen p-japan-p, citizen patina, citizen promethium, citizen radioactive lume, citizen vintage dial, luminous paint, p-japan-p, promethium, promethium lume, vintage citizen dial, vintage citizen watch. Bookmark the permalink. Could you show us the result? Would love to see it! 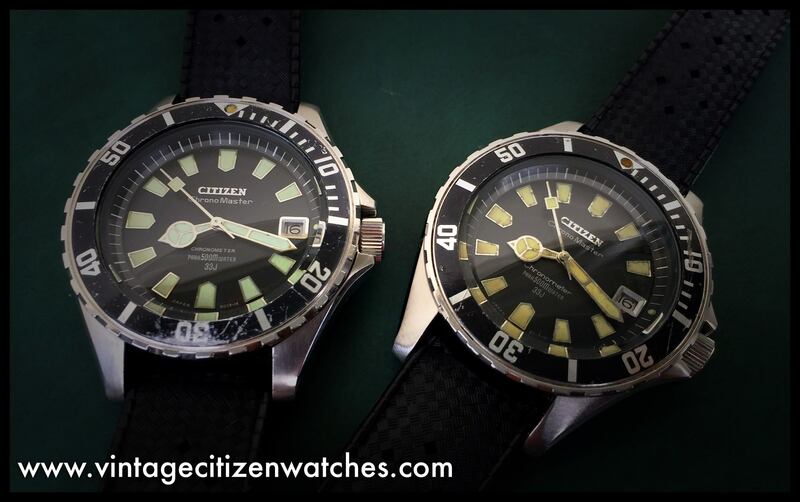 After reading this Article,i search my Diver Dials. I found one P-Japan-P on a 51-2273 Dial. Now i don`t won’t to wear this Watch anymore. I think it will be unhealthy. What do you think Bogdan,is it true. Can you relume the Dial,with a new Color? Can you please write a Mail to me. Please remind me again in about a month. My watchmaker is very busy at the moment so not taking any more work at this moment. Write me again in about a month please.